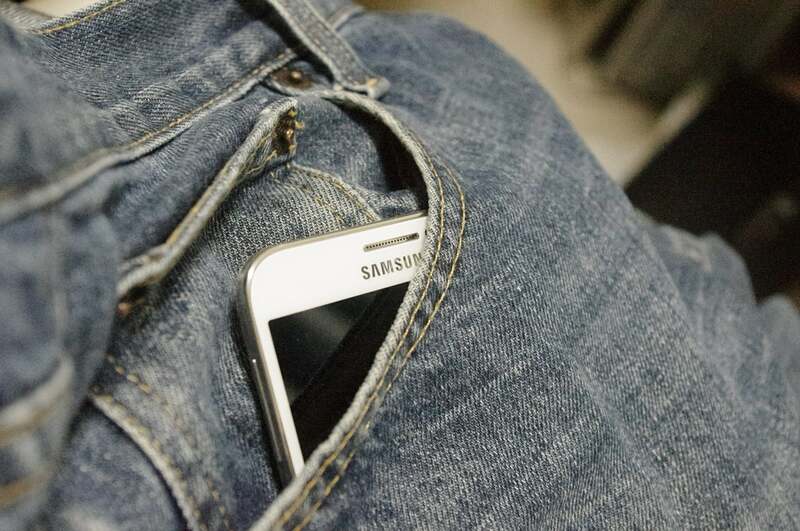 Samsung is expected to showcase its next major smartphone, the Galaxy A90, at a special event on April 10 in Milan, Italy. The handset is rumored to come with several exciting features, but the one feature gaining the most attention is the unique rotating camera. Samsung’s Galaxy A90 is believed to be an affordable alternative to the high-end Galaxy S10 and Galaxy S10+. However, if a new concept video by YouTuber Waqar Khan is to be believed, the Galaxy A90 could come with many tantalizing features, including a rotating camera. The concept video shows a notchless design and a slider mechanism that houses the Galaxy A90’s rotating camera. Previous rumors have also suggested a notchless display, but with a pop-up selfie camera instead. However, the leaked video suggests the rear-facing dual-lens camera will rotate to also act as the selfie camera. Popular tipster IceUniverse backs up the Galaxy A90 rotating camera rumor, saying the leak is “almost completely correct.” The “almost” part could be the time-of-flight sensor (ToF), which the tipster believes could be added to the Galaxy A90 camera. A ToF lens is useful for better depth-of-field perception, providing an improved bokeh effect. Another reputed tipster, OnLeaks, also believes the Galaxy A90 will have a sliding mechanism and rotating camera system. OnLeaks even claims that either the Galaxy A80 or the Galaxy A90 would feature a 48-megapixel camera, a ToF sensor and a flash. The potential problems with a rotating camera, such as the mechanism getting stuck or even broken, can’t be overlooked, but at the same time, we can’t deny the fact that such a camera looks cool. A rotating camera would also mean better selfies because they would be taken using the primary camera. Moreover, using the primary camera to take selfies means you would also get to use the flash instead of depending on the screen’s brightness, like most selfie cameras do. Irrespective of the benefits, the Galaxy A90’s rotating camera, if it’s coming, will face stiff competition. Oppo is expected to launch its Reno series phones with a distinctive pop-up selfie camera next week. The OnePlus 7 is also expected to feature a pop-up camera. As far as other specs, the video suggests Samsung is going with a traditional earpiece instead of an acoustic display like the one seen on the Huawei P30 Pro. The video also backs up earlier rumors of an in-display fingerprint scanner. From the video, it isn’t clear if the Galaxy A90 will come with facial recognition to unlock the smartphone. Separately, a post on Chinese micro-blogging site Weibo claims the Galaxy A90 will feature a 6.7-inch Full HD+ display with a 2,400 x 1,080 resolution and a triple-lens camera setup (48 MP + 8 MP camera + ToF sensor). The Weibo post also backs up the other claims about the Galaxy A90’s rotating camera. Further, the post says the handset will be powered by an octa-core Qualcomm processor with two cores clocked at 2.2 GHz and six cores at 1.7 GHz. The post says the Galaxy A90 will measure 76.5 x 165 x 9 mm and weigh 219 g. Such dimensions make it a bit thicker and heavier than many current-gen phones. Other expected specifications of the Galaxy A90 include a Snapdragon 710 SoC, 6 GB or 8 GB of RAM, 128 GB of internal storage, and an in-display fingerprint scanner. The handset will likely sport a 3,600 mAh battery and support 25W fast charging. It will reportedly run on Android 9 Pie with Samsung’s One UI. Rotating camera For Note 10? Samsung is known to use its A-series devices as a testbed for new features. Thus, if the Galaxy A90’s rotating camera gains acceptance, the Korean firm may introduce the same feature in its upcoming high-end devices as well. Speaking of Samsung’s next major high-end device, the Galaxy Note 10, reports suggest the device will feature a triple-lens or quad-lens camera. Rumors suggest that along with a standard Galaxy Note 10, the Korean firm will launch a smaller device with a 6.75-inch screen. The standard Note 10 will reportedly have a quad-lens cameras, while the smaller one could have a triple-lens camera. It is not clear what design will Samsung choose for the camera set-up — a horizontal arrangement like with the Galaxy S10 5G, a vertical set-up like with the Galaxy A9 2018, or any new design.